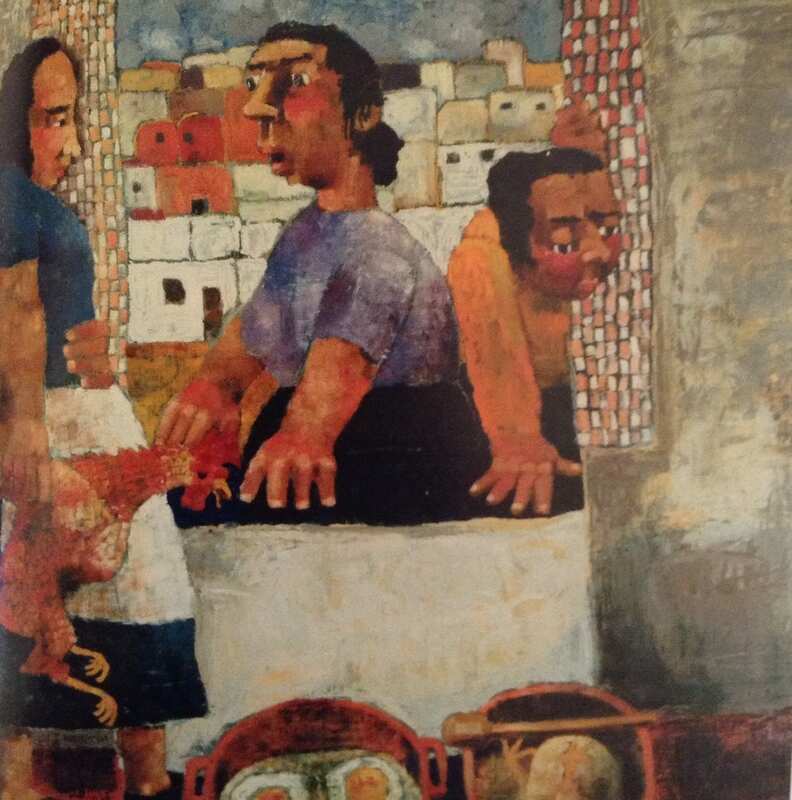 There has been a different theme each day – and today it’s ‘Behind The Art’. Here at UCL Art Museum we thought this would be the perfect opportunity to rediscover some of the many female artists that studied at The Slade next door and whose work is part of the UCL Art Museum collections. We’re thinking Gwen John, Winifred Knights and Paula Rego. Having such a rich variety and large volume of work made by female artists is something we really value about the collections at the UCL Art Museum. In particular, the work by female artists makes up the majority of The Slade Student Prize collection, which is unique among public collections of British art in having been formed by selecting the works of artists before they embark on their professional careers. In many cases they are the earliest works by these artists accessible to the public. This provides exciting glimpses into both the experiments and developments the students took along the way to becoming the great artists that we know them as today. The Slade was the first British art school to allow women to study art on the same terms as their male colleagues. This meant they had access to the life model. There is a beautiful and serious array of drawings, prints and sketches in the UCL Art Museum collection indicating the results of this and the way women thrived off this opportunity. Due to these intriguing histories that lie behind the art at the UCL Art Museum we were very excited to see that ‘Behind The Art’ is the #MuseumWeek Twitter theme for today. 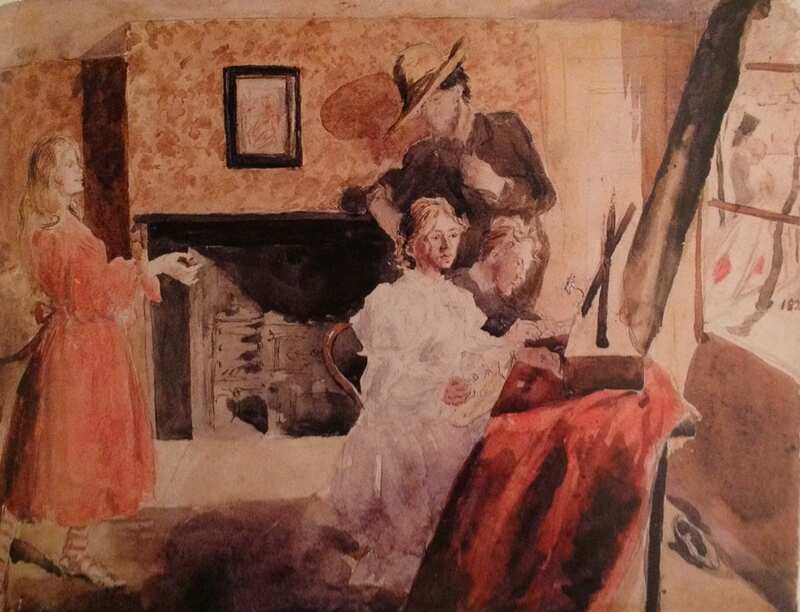 We have certainly enjoyed looking at one of Paula Rego’s assertive oil painting from 1954, called ‘Under Milk Wood’, and Gwen John’s subtler pen and watercolour piece entitled ‘Group Portrait’. Thinking about works like this alongside that of their male contemporaries certainly gives insight not just into the talent of the individual artists themselves, but offers fascinating discoveries into the histories and experiences of female artists from London and the UK. Helen Cobby is a volunteer at UCL Art Museum and studying for an MA in the History of Art at UCL.